A mine control room dispatcher watches mine activities using Modular’s DISPATCH system. Aside from the all-important factor of safety, one of any mining operation’s highest priorities is keeping a tight rein on equipment assets and the costs associated with those assets. What used to be worked out on paper is now entered into a computer, and organizing the complex’s everyday movements across a site is thankfully down to a science as a result. With the birth of global positioning systems came a new era in fleet oversight, and now nearly every facet of a mine’s daily operations can be planned, executed, monitored, tweaked and modified with just a few clicks of adjustment with a computer mouse. Fleet management systems manufacturers have succeeded in staying ahead of this curve, enhancing capabilities to meet operations’ demands and thinking of new ways to manage data and activity both before and after the coal is extracted. Coal, especially in tougher markets, can reap significant benefits from improved productivity and lower costs; knowing this, Coal Age spoke with some of those keeping the industry’s logistics at the crest of the technological wave. For Modular Mining Systems, its fleet management solution (FMS) isn’t a new revolution, but a long-standing part of the company’s technological past and future. Modular, founded in 1979 with DISPATCH FMS, saw its first system placement at Phelps Dodge Corp.’s (now Freeport-McMoRan) Tyrone mine in May 1980. The purpose-built hardware was installed to respond to what many others from that point on would see as a paramount desire — to eliminate the need for visual pit oversight, to increase production, and to enable mines to manage their entire haulage cycle from a central computer. With Modular’s optimization algorithm in place, the mine reported an unprecedented 11% increase in productivity attributable to heightened efficiency derived from use of the DISPATCH FMS. Fast forward more than three decades, and Modular has now optimized production at more than 240 sites worldwide, consistently repeating this success, and can claim to have helped more than 700 billion tons of material. “We have a long history in the coal industry,” the company said, noting that the first DISPATCH system installation in a coal operation occurred in 1983 at the Quintette mine in Tumbler Ridge, British Columbia; before its 2000 closure, Quintette was one of the largest coal mines in the world. Regardless of the industry’s state of affairs, be it now or in the future, there is one unmistakable fact that Modular knows very well; the use of fleet management systems shows no signs of slowing down. With 35 years of experience under its belt, finding a way to enhance Modular solutions with even more capabilities has become second nature after years of working in tandem with mines of all types, globally, to optimize the production process and increase the amount of tonnage moved during a haulage cycle. Thanks to customer input over time, Modular has developed a number of DISPATCH system add-ons, the most recent being the FastFeedback, Idle Monitor and the soon-to-be-released Active Tire Management modules. The idea for Modular’s Idle Monitor module first came about in 2010, when a dispatch manager from one of the largest and most productive open-pit coal mines in the nation observed that large equipment was often left running while stationary. Following a review of the issue, Modular found that the practice of leaving equipment unmanned and idling for long period of time was rather routine — an expensive practice for the mine that resulted in large quantities of wasted fuel. The operation, already well tied in with Modular as an existing customer, turned to its staff to help identify and manage the occurrence of idle events and reduce rising fuel expenditures. 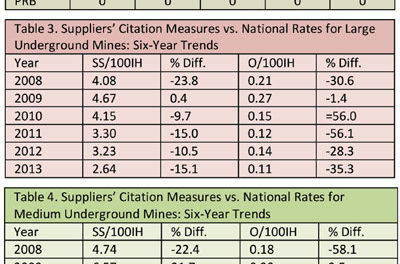 Implementation of the module, which was initially called Fuel Saver, helped the mine achieve nearly $1 million in annual fuel savings during the first year alone. In addition, the complex gained two other unexpected benefits, the company said. Finally, Modular is looking ahead anxiously for the forthcoming release of its Active Tire Management module to aid even more with mines’ maintenance and cost-centric priorities. According to its data, unplanned tire maintenance accounts for 10% of all maintenance time on average. Those hours add up quickly and, of course, time is money. With a greater ability to actively manage tire temperature and pressure in real time, mines can extend tire life on its mobile equipment and also reduce the likelihood of a fire or blow-out. Modular’s DISPATCH system interfaces with tire monitoring systems, such as the Michelin Earthmover Maintenance System (MEMS), to mitigate premature tire failure; its algorithm includes tire control actions such as the allocation of trucks to tire shops or the issuing of emergency tire exceptions as part of its real-time decision-making logic. “Integration with OEM interfaces automates a number of actions previously performed manually, saving time, effort and money,” Modular said. The Active Tire Management module will be released later this year. While many things change, some stay the same, and according to Modular, that also extends to mining. Since the introduction of DISPATCH 35 years ago, the technology has become so ingrained in the mining circle that very few greenfield operations start up without implementing a fleet management solution. Over the years, Modular has gone on to develop the IntelliMine Mine Management suite, comprised of the DISPATCH FMS, the ProVision Machine Guidance solution, the MineCare Maintenance Management system, and MineAlert tools. Together, these products address the big picture areas of operations, planning, maintenance and safety. All are available as stand-alone systems and can be fully integrated with DISPATCH. As it has from the beginning, Modular said that it continues to focus on innovation and new ideas. “We take lessons from the past while keeping our eyes firmly set on a vision for the future,” said Modular CEO Luiz Steinberg. A project involving Hitachi’s Internet-based cloud data service and Wenco’s fleet management system was designed to assess how improvements in operational efficiency could be achieved with the systems. Earlier this year, Hitachi Ltd. and Hitachi Construction Machinery’s Canadian arm Wenco International Mining Systems revealed they had inked a joint proof of concept (PoC) project facilitated by miner Teck to combine Hitachi’s cloud service and Wenco’s fleet management system with Teck’s mining operation team to demonstrate the improvement of the system’s efficiency. In the project, Wenco said that its FMS would be installed at Hitachi’s data center in North America to provide cloud-based FMS service to Teck via the Internet. In turn, Teck, supporting the project, would provide feedback on both performance and efficiency of the system within one of its facilities in British Columbia, Canada. The results were to be pooled over a 40-day period beginning January 20. 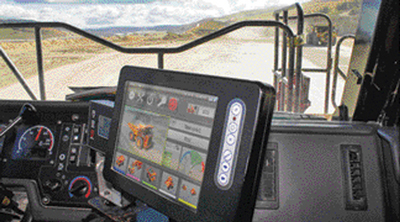 Specifically, using on-board computers, the Wenco FMS was set to be installed on haul trucks, shovels and other additional equipment, and display mine-specific instructions for operators to help increase efficiencies. While historically the FMS was individually maintained and operated on each mine site, the cloud-based FMS service used for the PoC project would hopefully demonstrate the ability for mines with multiple sites to manage all sites from one facility. 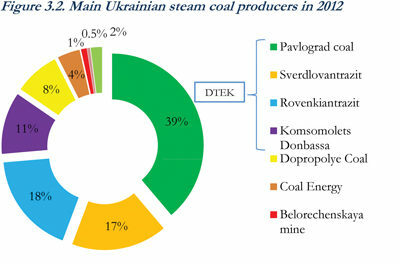 The ultimate goal of the project was to reduce the initial startup and operating costs of the FMS in small-scale mining. No results from the PoC were available to Coal Age at press time, but Wenco expressed its excitement at the start of the project, particularly the associated benefits its industry partners could leverage with the combination of fleet management and cloud computing. “Minimizing learning curves on hardware and software, expanding accessibility, and reducing capital costs will increase system longevity and effectiveness for our clients,” said Wenco President and CEO Phil Walshe. Hitachi and Wenco also said at the start of the work that they would work together toward the success of the PoC and its future full-scale application in other mines. “The PoC project that Hitachi and Wenco are starting with Teck is a new chapter in the history of resources development. We will work through this PoC project to promote efficiency of resources development by improving efficiency of the equipment with our advanced IT by the whole Hitachi Group,” Hitachi official Keiichi Shiotsuka said earlier this year. While some operations are looking for ways to tighten up safety and productivity efforts, others wish to pull that belt even tighter and maintain what is already a level of high productivity. Many times those ideas start from the inside of a machine. One such collaboration announced this spring between IBM and mining contractor Thiess exemplifies this. The two came together on a global scale for a project to integrate current and historical machine sensor data for the company’s haulage fleet with its maintenance and repair, operational and environmental data, and with results from which mines of all types and locations could take away benefits. As an example of a solution focused on a somewhat smaller-scale application — but with important implications for producers of all sizes — IBM announced in February a new collaboration with Thiess, one of the world’s largest contract miners, to use Big Data to improve machine availability and operational productivity utilizing predictive analytics and modeling technologies. The initial collaboration focused on Thiess’ haul trucks and excavators to help unify asset management and business operations. While proactive maintenance is most certainly a trend for the future, many facilities still find themselves being reactive, or plugging the proverbial bucket holes as each one opens. That practice in the long term, of course, creates unnecessary downtime, expensive and rushed repairs, lost production and other issues that can combine to create an operational nightmare for any operation. Increased deployment of machine and environmental sensors combined with new data collection methods are enabling the development of predictive machine maintenance analytics, which can help increase equipment availability, lower production costs and provide greater operational flexibility. And that, in turn, is helping those on the back of the tech wave to catch up. 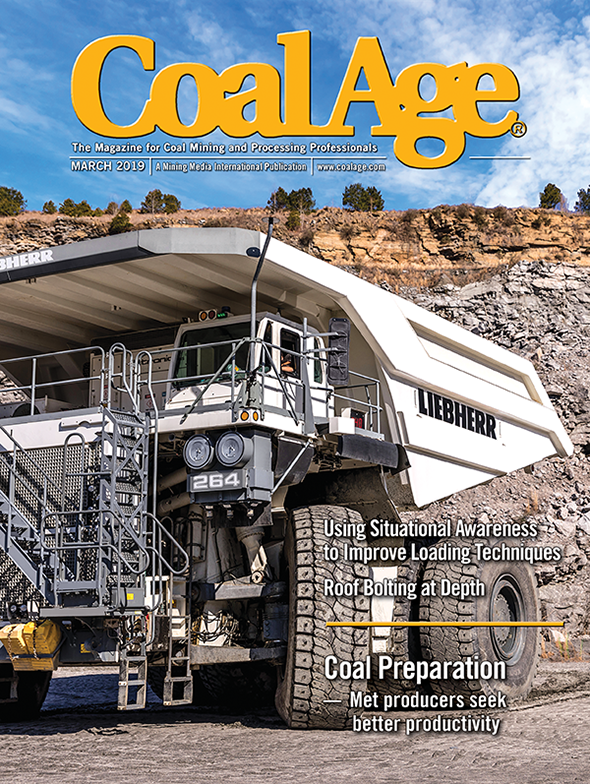 IBM and Thiess told Coal Age’s sister publication Engineering and Mining Journal in April (see Digital Tools for Mines Help Maintain a Competitive Edge by Russ Carter, page 65) that its collaboration integrates current and historical machine sensor data, along with maintenance and repair, operational, and environmental data to use as a basis for data-driven operational optimization. Factors such as repair and inspection history, payload size, sensor-based component alerts, operator variability, weather and ground conditions are being used to construct models, which assess and predict the life of discrete components and the overall health of a piece of equipment, with the resulting information enabling decision makers to co-optimize maintenance and production decisions, resulting in better operational performance. “Analytics and modeling can offer great opportunities to improve our business, but we need to integrate them with our current processes in order to have a real bottom-line impact. Working with IBM to build a platform that feeds the models with the data we collect and then present decision support information to our team in the field will allow us to increase machine reliability, lower energy costs and emissions, and improve the overall efficiency and effectiveness of our business,” said Michael Wright, executive general manager-Australian mining at Thiess. The heart of any machine is its inside components, and even more time and money can be saved with early detection of even minor anomalies and malfunction patterns. Being able to predict the likelihood of part failures and other areas of risk can leave a mine with a significant increase in equipment uptime and, of course, simultaneously improve Thiess’ ability to manage the full life of discrete components, overall machine health and the deployment of limited maintenance resources. “By combining knowledge of the physical health of the equipment with information about how it needs to be used, we are able to know when something is going to go wrong and what can be done to fix the root problem before that occurs,” Matthew Denesuk, manager of Smarter Planet Modeling and Analytics at IBM Research, told E&MJ. IBM also noted that developing a unified predictive equipment and operational management system requires identification of common connections between physical and computer scientists; the models used in this project bring together the physical and digital worlds by supplementing data-driven modeling that computer scientists tend to employ with information from engineers who have first-hand expertise about the mechanics of the equipment. Those with the secret to predictive machine management know that decisions on a unit’s maintenance and operations use can largely be discerned by evaluating its condition and health at any given time. However, it also has the ability to tell a site manager how a machine’s life will likely be far into the future, even to the point in the future where a mine’s decision maker can put correct actions into place — ordering a spare part, of example, or adjusting production plans — to account for it. For example, in the case the companies shared with E&MJ, IBM presented a mining scenario in which several haul trucks may be reported to need maintenance; at the same time, a substantial order of product is due for delivery in 11 days. The predictive machine management system will be able to look at a variety of options for addressing this problem and provide the user with a model-based prediction that, if the trucks are loaded no more than 85% of normal capacity and driven at no more than 80% of normal speed, the failure probability over the next 11 days would be minimal. Such a projection, even into the short-term future as with this case, allows companies to avoid the costly downtime for such a relatively minor issue. The idea of mine oversight and its associated key issues, primarily as it relates to production and safety, has been a part of Caterpillar’s arsenal for some time. 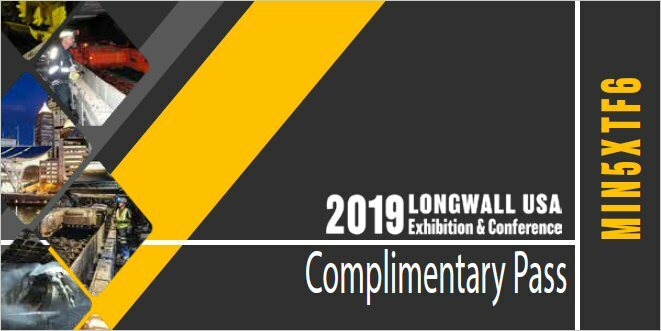 However, the last few years have been quite busy for those in the OEM’s technology group as they continue to enhance the capabilities for not only its fleet management solutions, but also for its goal of total automation across surface mines worldwide, coal and otherwise. One of those is Cat Detect, first introduced to the worldwide mining community in mid-2011 as a solution to enhance operator awareness and overall safety. Detect, a capability set within Cat MineStar system, provides both operators and mine managers with a comprehensive overview of all of its assets, and is comprehensive, scalable and integrated into a location to offer complete mine and mobile equipment management and oversight. Detect itself is also scalable and offers a range of capabilities, permitting mines to choose the system size and scope that best meets their needs. Those capabilities include vision, object detection, proximity awareness and personnel. Vision allows mining operations to install camera-only systems on mobile vehicles, allowing operators to view the area surrounding the machine via an in-cab display. Building on vision, object detection adds radars and in-cab software that provides notification to the operator when an object is detected within the radar coverage area. The system’s proximity awareness component, unveiled at MINExpo 2012, added Global Navigation Satellite System (GNSS) capabilities with which Detect can display the locations of other equipment and assets beyond a radar’s reach. It also allows programmed information to be displayed in the cab. Finally, personnel adds capabilities for tracking individual electronic tags that can be worn, placed in light vehicles or attached to portable equipment. The system, then, gives these tags a presence within the digital mine site environment so that equipment operators can see locations of people and assets in relation to their machines. According to Cat officials, however, the ultimate in technology for them is autonomous machine operation. While the coal sector is on the radar, Caterpillar has so far outfitted small autonomous truck fleets (using the Command solution for hauling) operating in Australian iron ore mines. “Mining technologies, such as Cat MineStar System, have grown considerably in capabilities during the past several years,” Craig Watkins, marketing manager, Cat MineStar System for Caterpillar Global Mining, said, noting that communication systems and perception systems have advanced rapidly, as has computing power. “Today’s capabilities include remote control, semi-autonomous and fully automated, or autonomous, systems,” he said. “For example, Command for hauling is capable of fully automating mining truck operations in surface mines. The commercially available system offers improved productivity and enhanced safety. He said that some issues still to be resolved include perception systems for certain applications and adaptive decision making, and Caterpillar is addressing these issues through extensive research and development and field validation trials. Wenco International Mining Systems Ltd. has acquired Automated Positioning Systems (APS), a supplier of GNSS solutions for mining, earthmoving and land rehabilitation sectors. Wenco said this summer that the acquisition brings together APS’s proficiency in independent machine guidance and contractor-type fleet management, with Wenco’s Fleet Management System and expertise in production optimization, asset health, safety and systems connectivity to deliver a scalable solution for any size or type of mine. The former headquarters and staff at APS in Brisbane, Australia, would become a branch office operation of Wenco International to service that global region and continue product development. Wenco said its existing customers can benefit from the immediate availability of a proven high-precision drill navigation system, and the additional expertise to ensure product enhancement and technical support. APS customers will benefit from the experience and product development that Wenco provides. Also, as a subsidiary company of Hitachi Construction Machinery (HCM), Wenco can leverage HCM’s capabilities and resources.